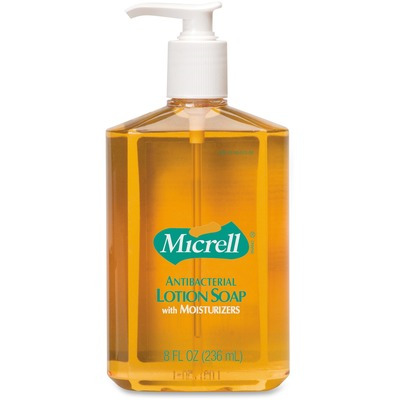 Micrell Is Specially Formulated With A Quick-Acting Antimicrobial Agent (Pcmx) To Kill Germs, A Light Scent And An Effective Degreasing Agent That Makes It Perfect For Foodservice Environments. Its Nonirritating Formula Also Makes Micrell Ideal For Frequent Use In A Variety Of Settings, Including Schools, Health Clubs, Offices And Recreation Areas..
Micrell Is Specially Formulated With A Quick-Acting Antimicrobial Agent (Pcmx) To Kill Germs, A Light Scent And An Effective Degreasing Agent That Makes It Perfect For Foodservice Environments. Its Nonirritating Formula Also Makes Micrell Ideal For Frequent Use In A Variety Of Settings, Including Schools, Health Clubs, Offices And Recreation Areas.